I will admit it, I have a deep love of candy corn. It’s really a huge blessing that it’s only available for a short time each fall, because otherwise my health and weight would suffer. 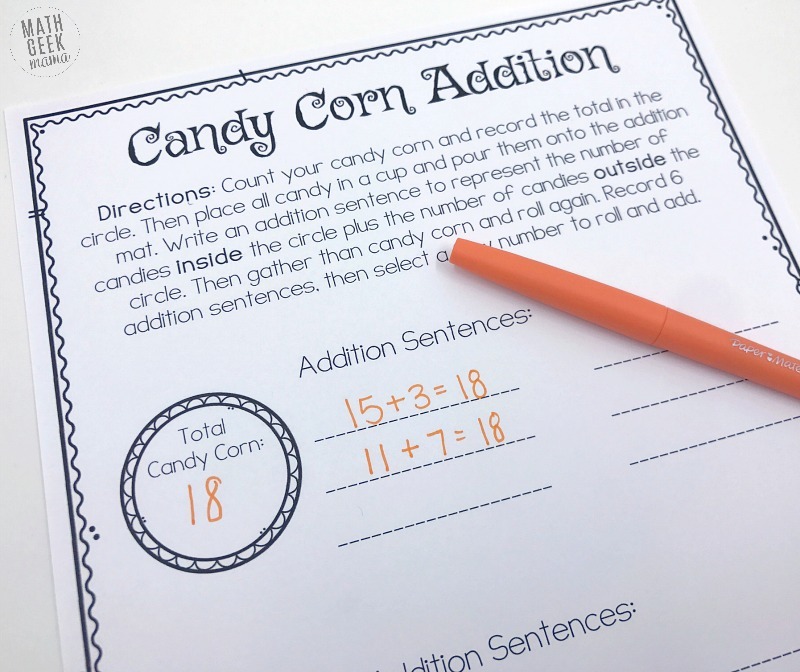 And so, since candy corn is such a special treat, and I obviously needed an excuse to buy it the second it hit the shelves, I had to combine it with learning for some fun, hands on candy corn math. Because how else can you justify buying the giant bag from Sam’s Club? 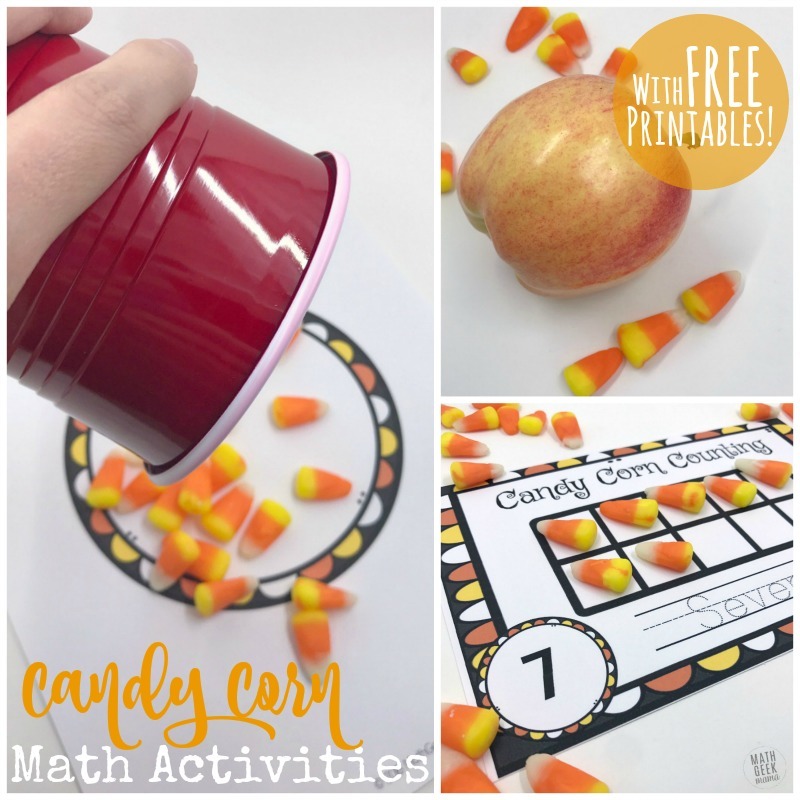 If you’re looking for ways to put your candy corn to good use, read on for several hands on candy corn math activities, and be sure to grab the free printable pages at the end. The first activity you can do with candy corn is counting. To help little ones understand cardinality, write numbers on index cards or cute, fun papers and have them count out the total number of candy corn pieces to correspond to each number. You can also use this set of ten frame counting mats that I created, which help kids see how numbers relate to the number ten. Ten frames are a great visual for helping kids to see different ways to make ten and learn how numbers relate to each other. 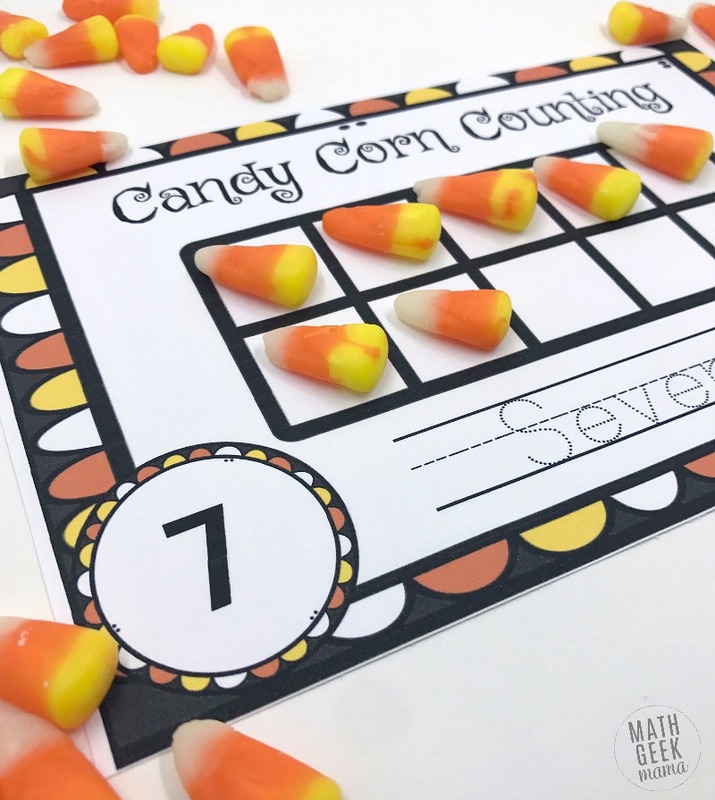 Plus, if you laminate these mats, kids can then practice writing the number words with a dry erase marker after filling in the ten frame with the correct number of candy corn pieces. You may also like this set of candy corn number puzzles. These help kids to see a visual representation, the numeral and the number word. 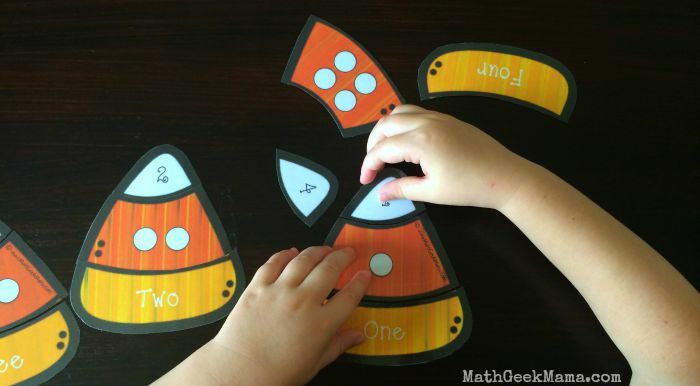 The next game in the printable pack is great way to practice addition with candy corn. 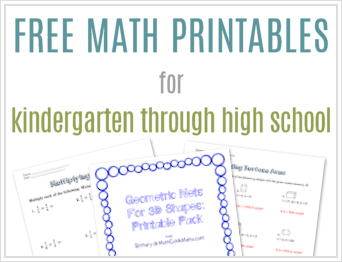 This fun activity can be easily differentiated for kids as you give them a specific number to work with. 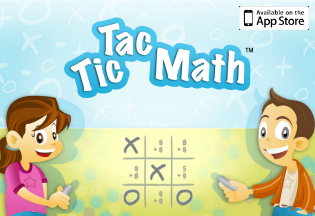 For little ones, focus only on numbers within 5 or 10. Older or advanced kids can work with numbers up to 20. The goal of this exercise is to help kids understand different ways to decompose a number and to look for patterns in addition. 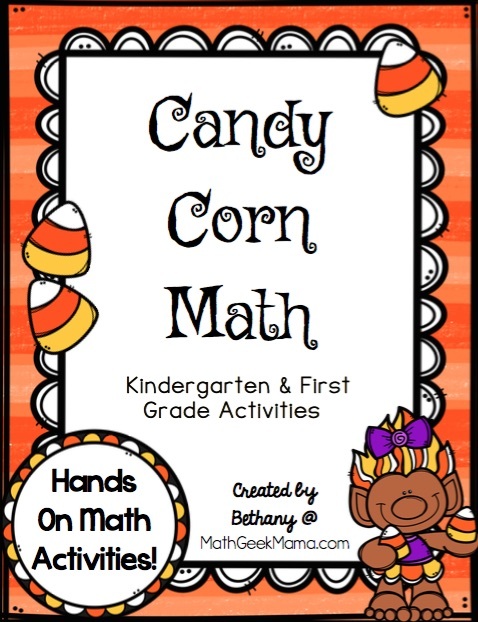 To complete the activity, kids will need the candy corn mat, as well as a recording page. They will also need a cup for holding the candy corn pieces. They then count the total number of candy corn pieces and record this on their paper. Then they pour out the candy corn onto the mat. They then write an addition equation to model how the candy corn pieces landed on the mat (total inside the circle + total outside the circle). 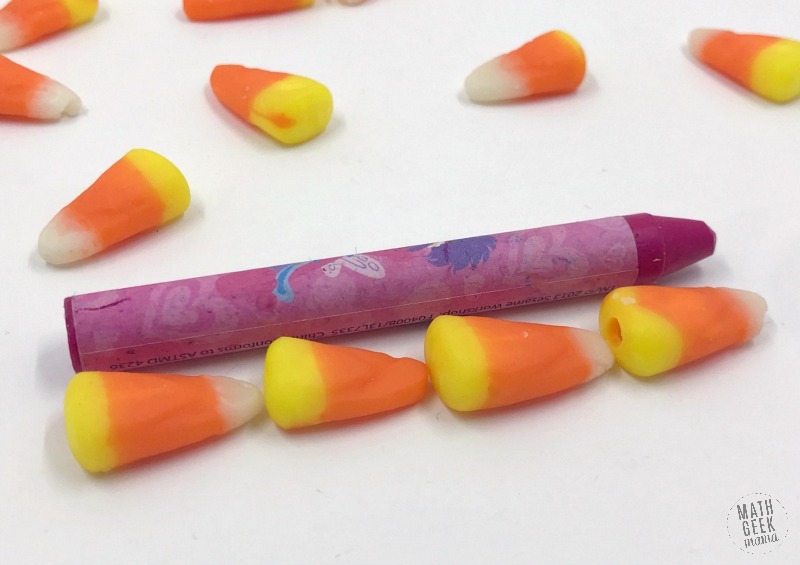 For example, if there are 18 candy corn pieces altogether and 15 end up inside the circle and 3 outside, kids would write the equation: 15 + 3 = 18. They then put all the pieces back in the cup and pour them on the mat again to write a different equation. Again, the goal is for kids to discover different equations that are all equal to the same number. So they repeat this process six times. Only then can they get a different amount of candy corn and repeat the process. This is a fun game for small groups and can be played by kids in Kindergarten, or adapted for older kids to provide an increased challenge. 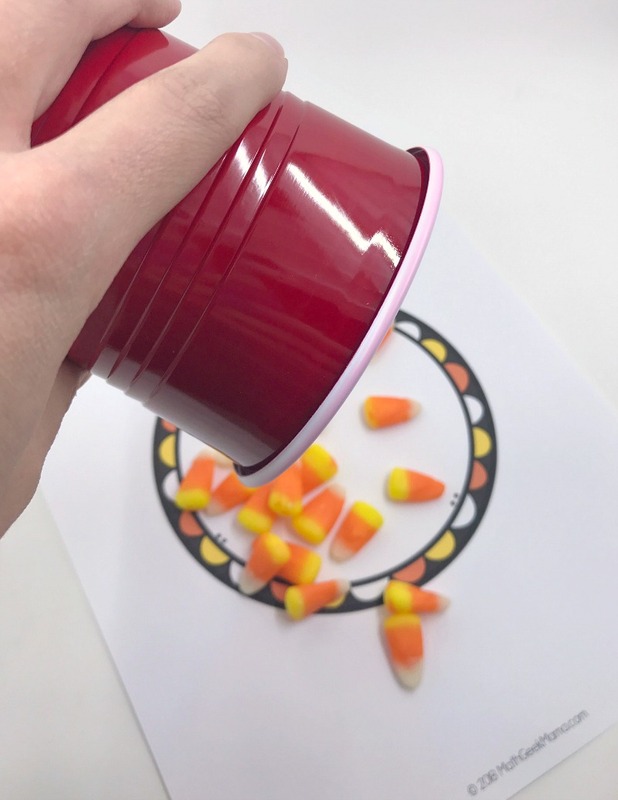 For this activity, each player needs a game board, and then a large bowl of candy corn needs to be placed in the center of the game. You will also need a pair of dice. To begin, the first player rolls the dice and adds the numbers together to get the total value. They then cover that many spaces on the hundreds chart. Players continue around the table in the same way. 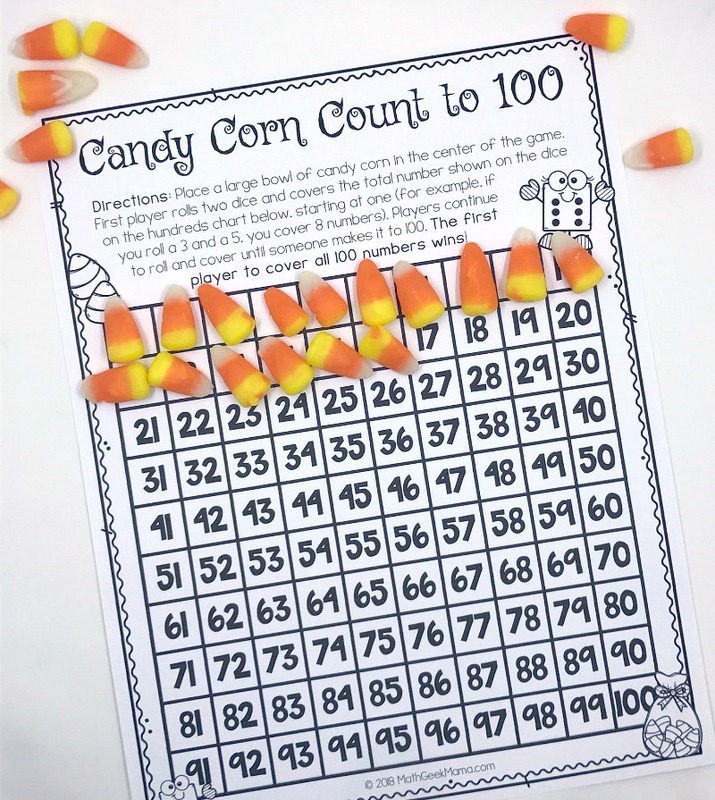 On their next turn, kids would continue to add the number of candy corn pieces that is shown on the dice where they left off, counting as they continue through the hundreds chart. For example, if they have already covered 16 and need to add 5 more, they would count 17, 18, 19, 20, 21. Players then continue rolling and adding candy corn pieces until someone reaches 100. The first player to count and cover to 100 wins! For older kids, have them record addition equations on a piece of paper as they play. For example, every turn they would add their new value to the previous total. So if they have covered 16, and roll a 5, they would write 16 + 5 = 21. Then on their next turn they would write 21 + (whatever they rolled) and so on. 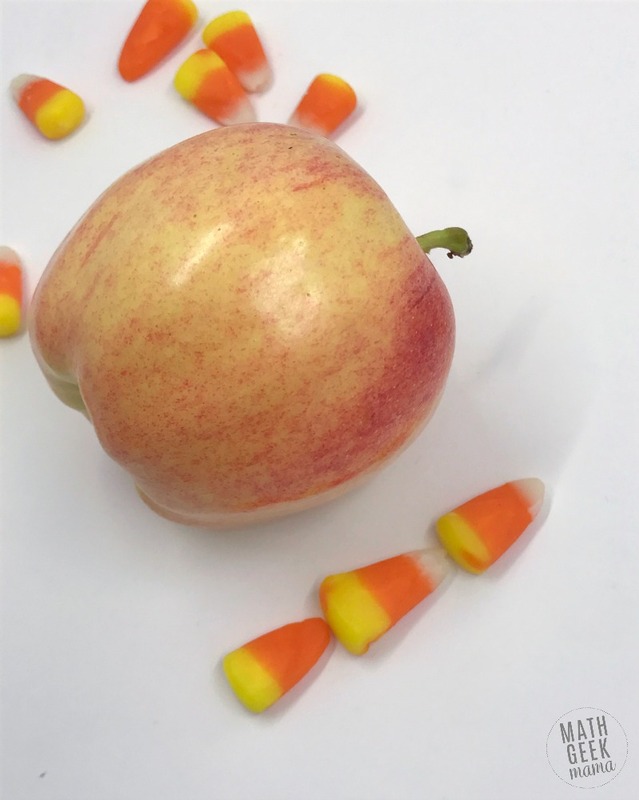 Lastly, you will find a fun and simple measurement challenge for kids using candy corn. This is a fun way to introduce non-standard measurement, as kids will use their candy corn pieces to determine the length of various objects. It also includes estimation practice. I would start by holding up a single piece of candy corn and ask kids to estimate how many candy corn pieces are equal to the length of each of the objects. Once kids have an estimation for each object, they can get to work finding the actual candy corn measurement. You can also use this to discuss the importance of standard measurement, since not every candy corn piece is exactly the same length. This will affect the measurements, and could even result in students ending up with different answers. 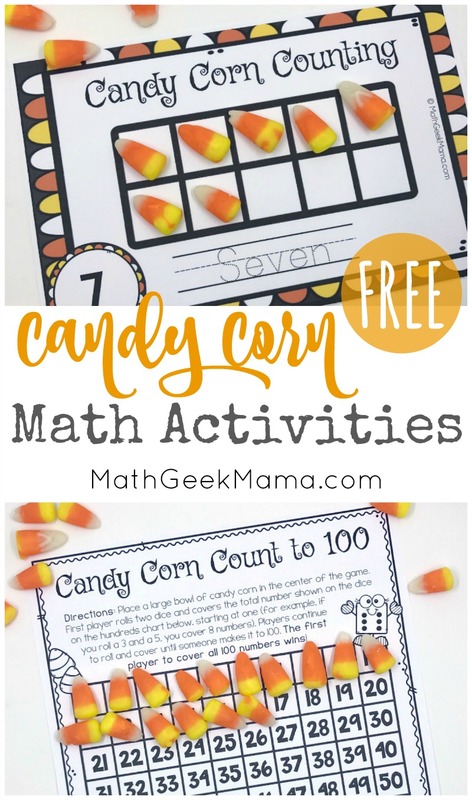 I hope this printable candy corn math set is a great way to put your candy corn to good use, and is a fun and motivating math challenge for your kids. 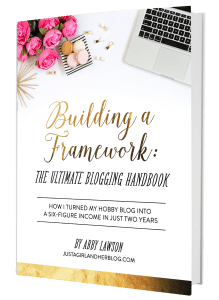 Grab the free printable set below. Love all of you candy corn math ideas. I would definitely have to be careful not to eat most of the materials. I stopped by from Sharing Saturday. I love this! Totally had to pinned this to my Halloween STEM Fun board!